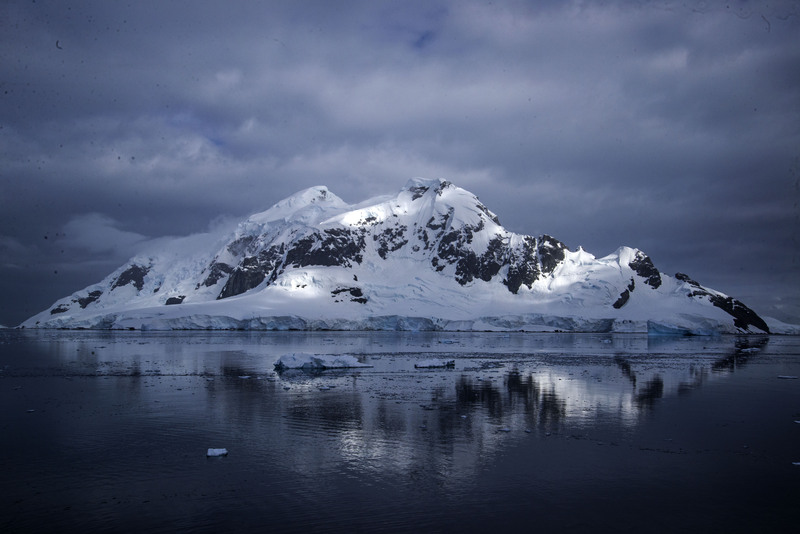 Our last day in the Antarctic had arrived but again we had a busy programme. The first stop was at an Argentine Station called Almirante Brown. This station was notable for the story of the mad Naval doctor who on being told that he was staying over the winter at the base, waited for the boat to leave and then set fire to the base. The ship soon turned around and picked him up to take him home for a court martial ! We climbed up a snow covered slope from the station to a rocky pinnacle where we had a great view of the surrounding area. 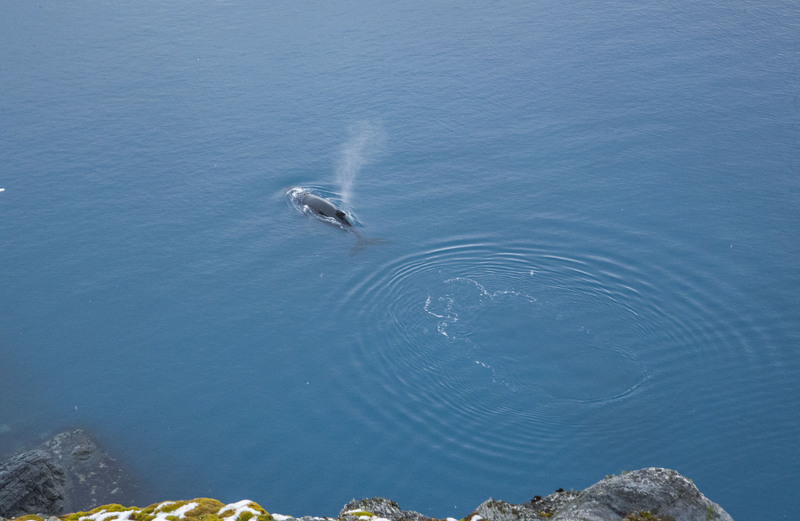 While at the top we saw a humpback whale swimming in the very clear water below. 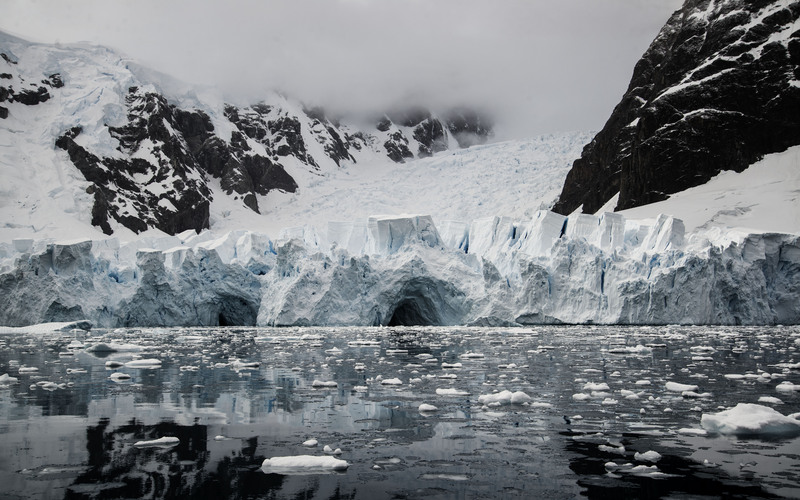 Our visit to the island was only around 45 minutes but after that we took a zodiac tour around the surrounding area and to look at a big glacier that came right down into the sea. 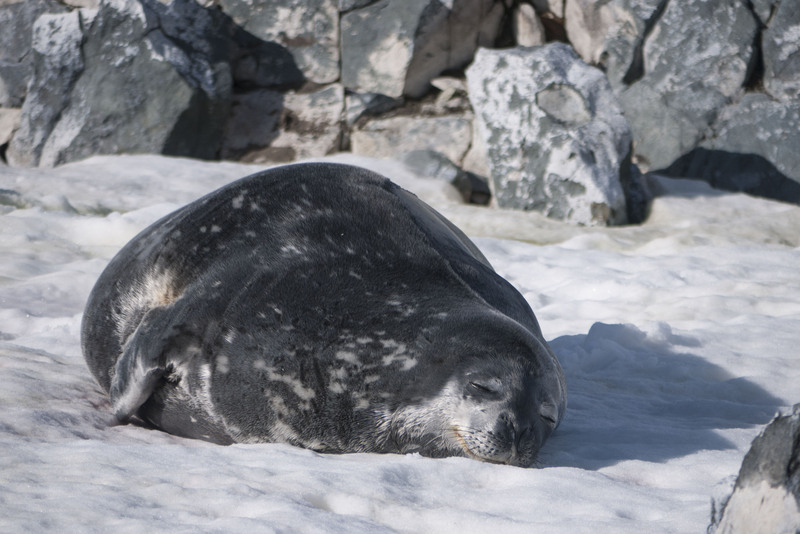 We also completed our sightings of Antarctic seals when we saw a Crabeater seal resting on some ice. 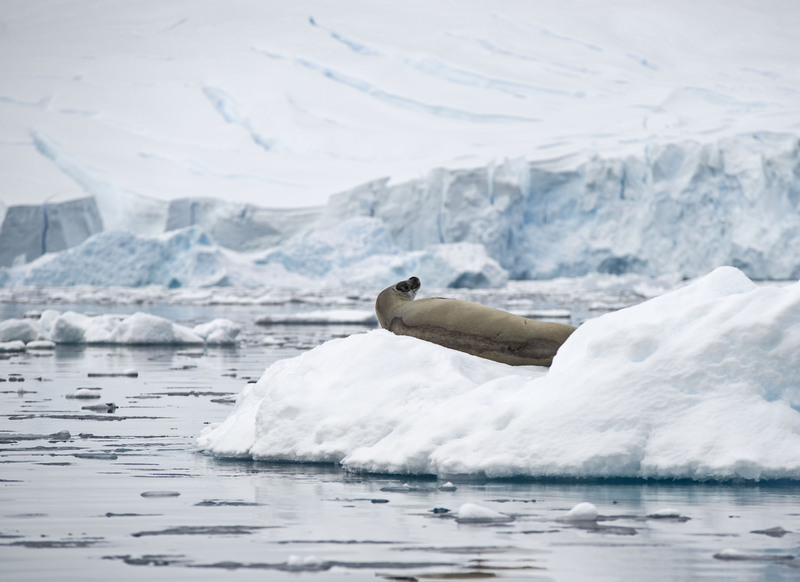 The most numerous seal in the Antarctic, it is unusual to see one in the Peninsula area. Despite their name they don’t actually eat crabs at all. Just before lunch we were offered the opportunity to go for a swim. That’s right in water hovering around 0 degrees C (as it is salt water it doesn’t freeze until -1.8c but don’t worry there was plenty of ice in the water!). I’d been looking forward to this as it was an appropriate mirror for my swim in the Arctic back at the very start of our trip when we were in Prudhoe Bay. However Sarah was absolutely adamant that this was the last thing she would ever consider doing. 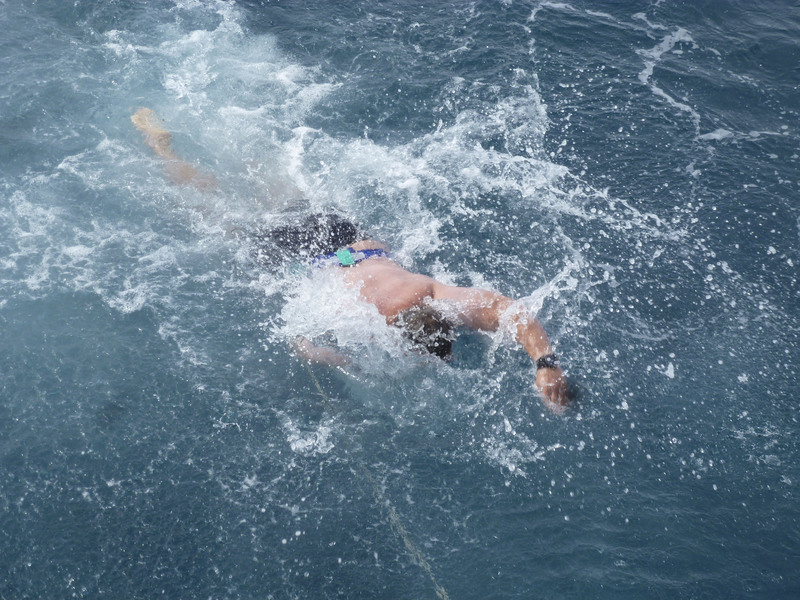 The swim was done off the back of the ship with a safety rope attached to you. I can happily report that the water was cold, salty and very clear. 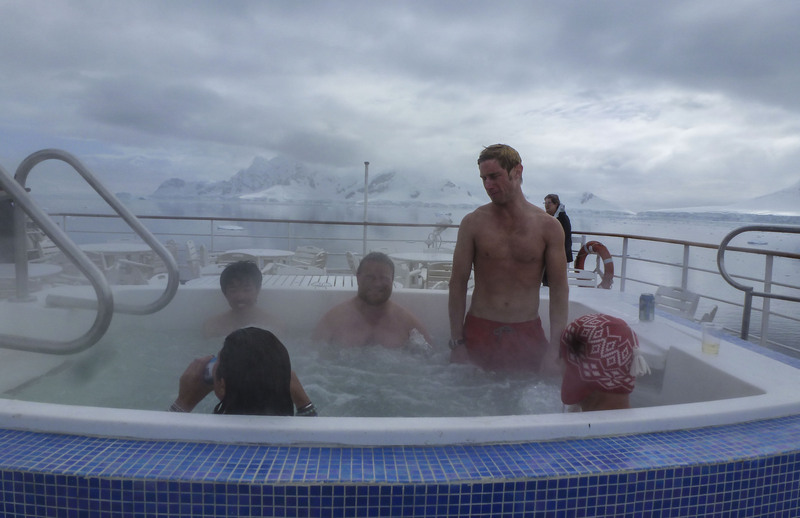 Fortunately on returning to the ship they had opened up the hot tub on the top deck which was very welcome. 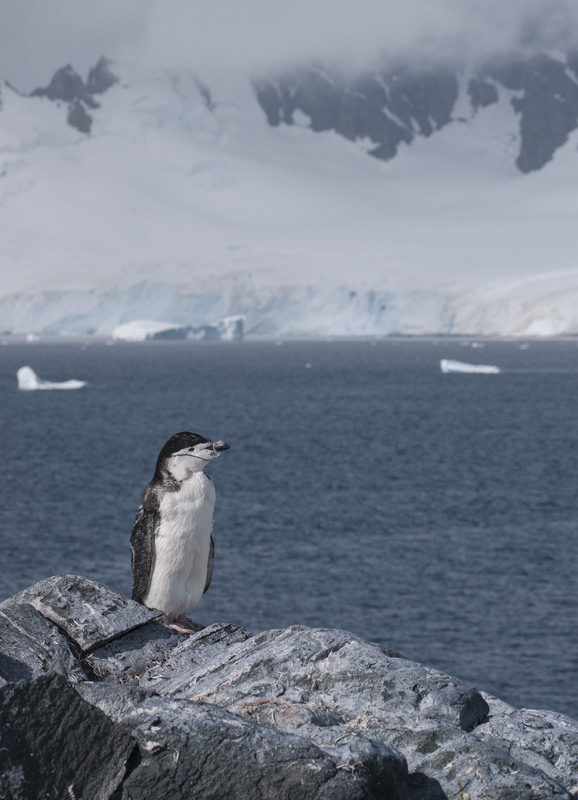 We’d now seen almost all the wildlife of the Antarctic Peninsula area. However the glaring omission was Orca or Killer Whales. We had been looking for these nomadic creatures the whole time we were cruising through the sheltered waters. 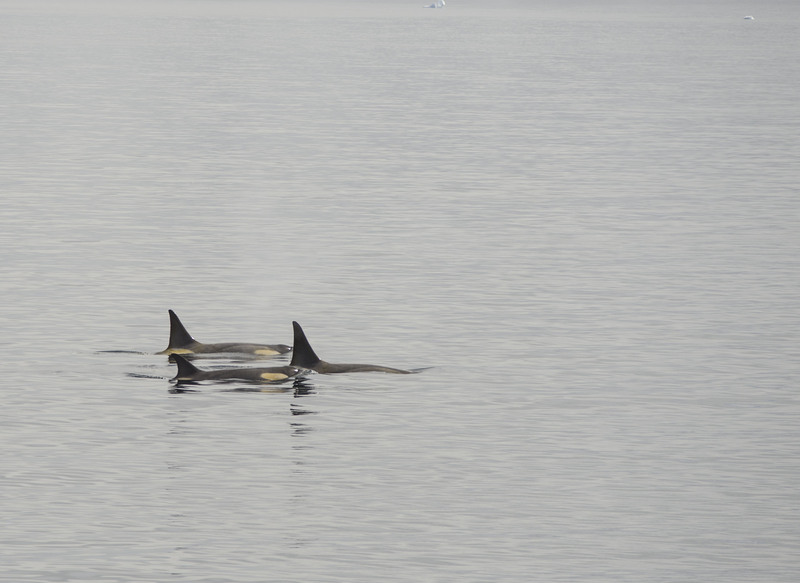 Now on our last day a call came from the Bridge that there were Orca off the Starboard side. Everyone ran out onto deck and for five minutes we enjoyed watching a pod of Orca paralleling the ship’s course. They didn’t come close but we did see them ! 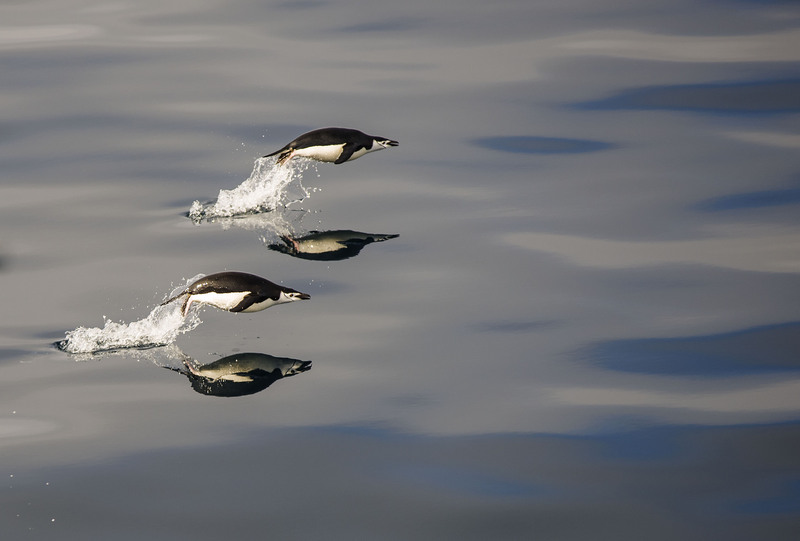 At the same time as we saw the Orca I managed to get a picture of leaping penguins. I’d been trying to do this all week but its pretty hard. Our last landing of the trip was to Orne Island. This was a first for the crew but good weather allowed it. 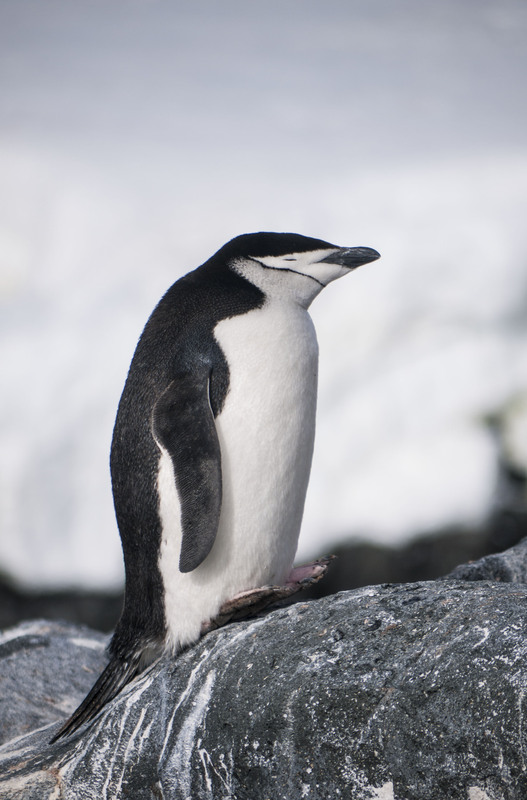 The island was quite large and home to a colony of chinstrap penguins. 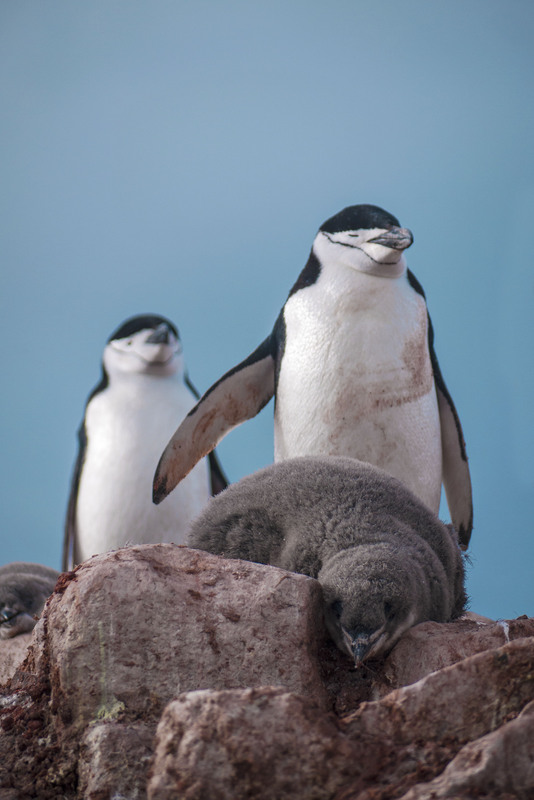 The older adolescent penguins were beginning their molting process but the parents of the chicks had a couple of weeks to wait until their fluffy little bundles of joy were ready for self sufficiency. 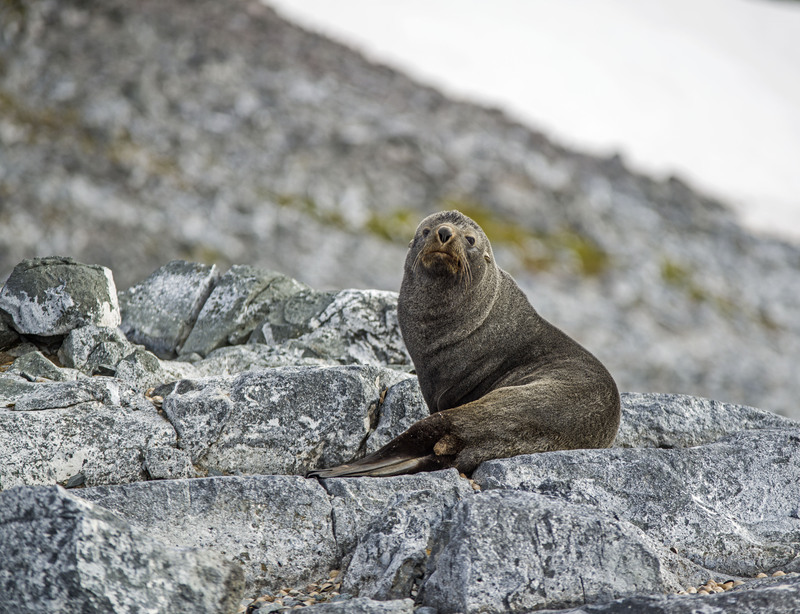 At one end of the island a Weddell seal had hauled its way up over the beach and at the other end of the island a couple of fur seals had the same idea. The fur seals are very aggressive and you definitely want to keep your distance from them. Getting too close causes them to rise up and as they can move faster than running speed, and pack a bite I didn’t want to get any closer than this. 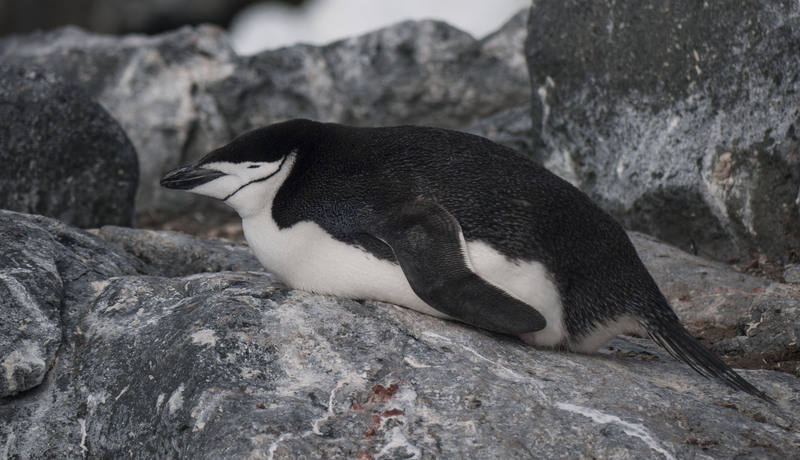 When you find Chinstrap penguins there always seem to be a few Gentoo penguins lolling around as well. At the end of our last landing we returned to the ship with heavy hearts as we were departing Antarctica immediately to return to Ushuaia. 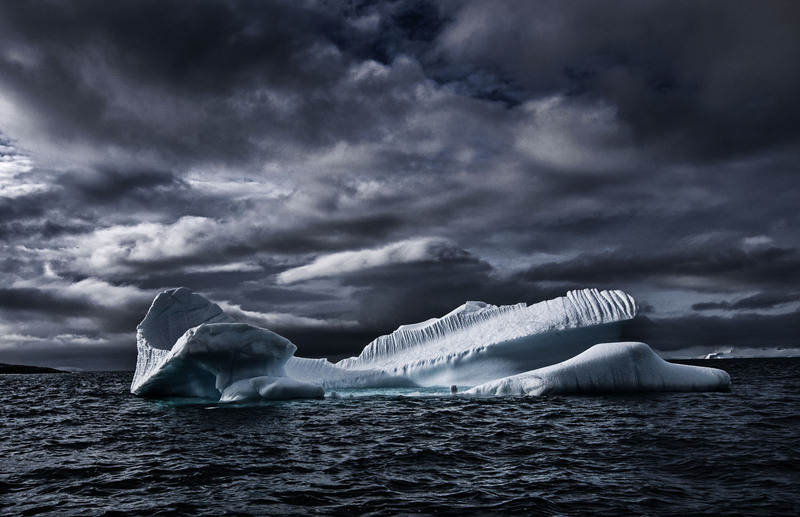 Antarctica is definitely a magical place that gets inside you. No pictures can do the landscape justice or convey the tranquility and stark beauty of the continent. 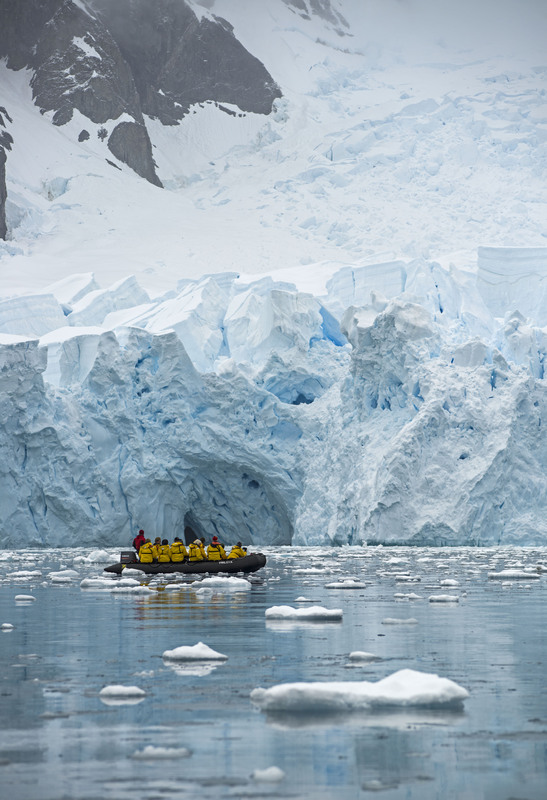 It is definitely worth begging, borrowing or stealing to get out to Antarctica as its an experience you won’t forget. 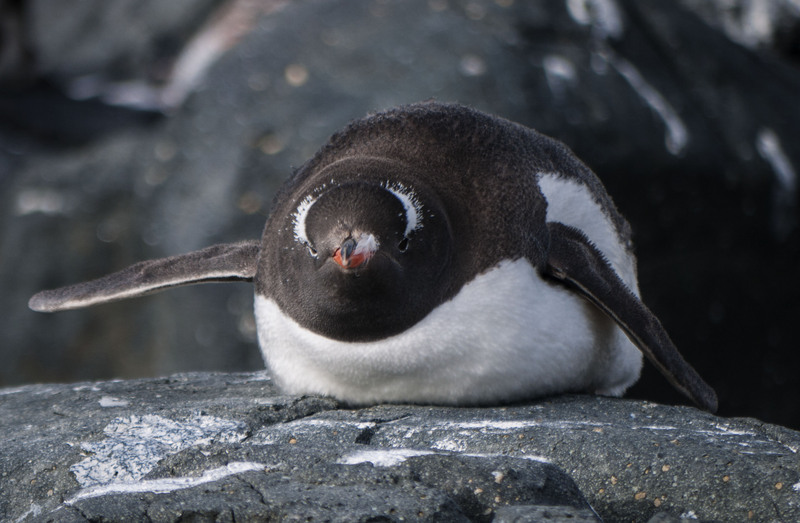 the penguin photo is awesome!